With the inception of Floriade in 1988, Commonwealth Park has been the focal point of Canberra during September. 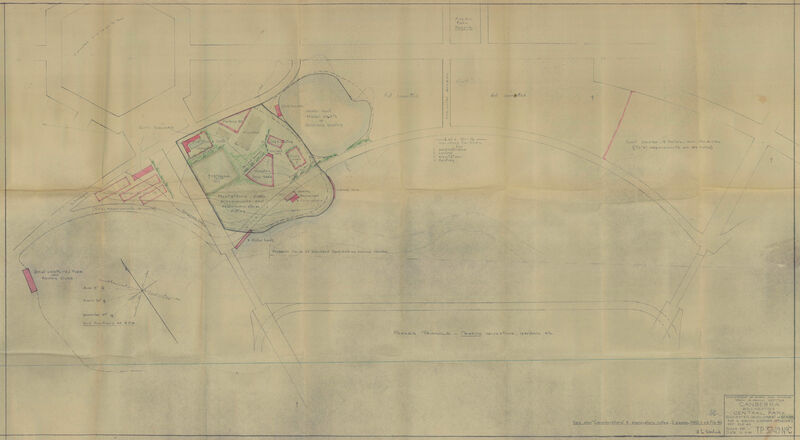 The origins of Commonwealth Park dates back to Walter Burley Griffin’s city plan that included "various recreational facilities" between his ornamental lake and Constitution Avenue. In early 1949 during an Inter-Departmental Development Committee, Chairman of the Public Service Board Mr W.E. 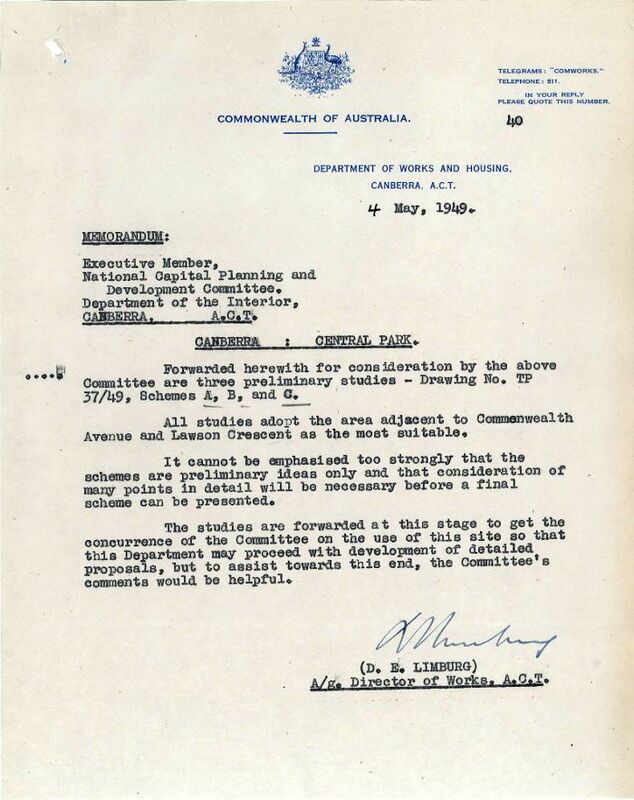 Dunk requested "early consideration to be given to the question of establishing a central park in Canberra with such facilities as a swimming pool, children’s playgrounds, bandstand and a small zoo." 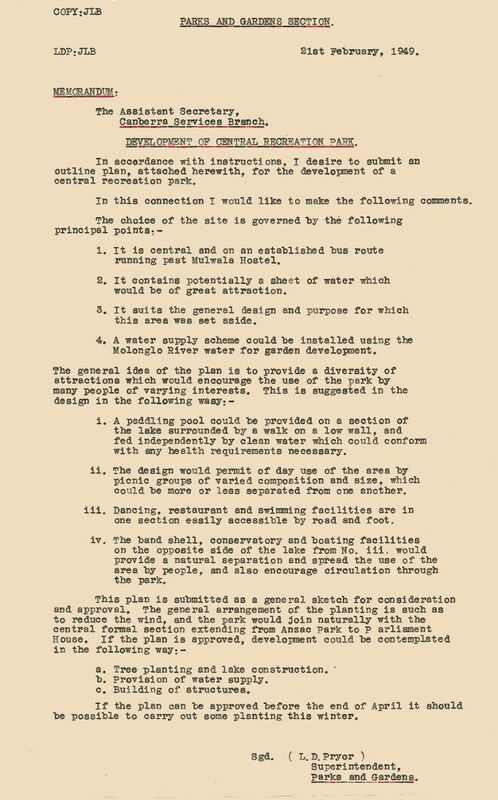 This request resulted in the file ‘PC45/5/0 – Department of the Interior - Central Park & Playgrounds: Suggestion by Mr W.E. Dunk’, which is ArchivesACT’s Find of the Month for September. 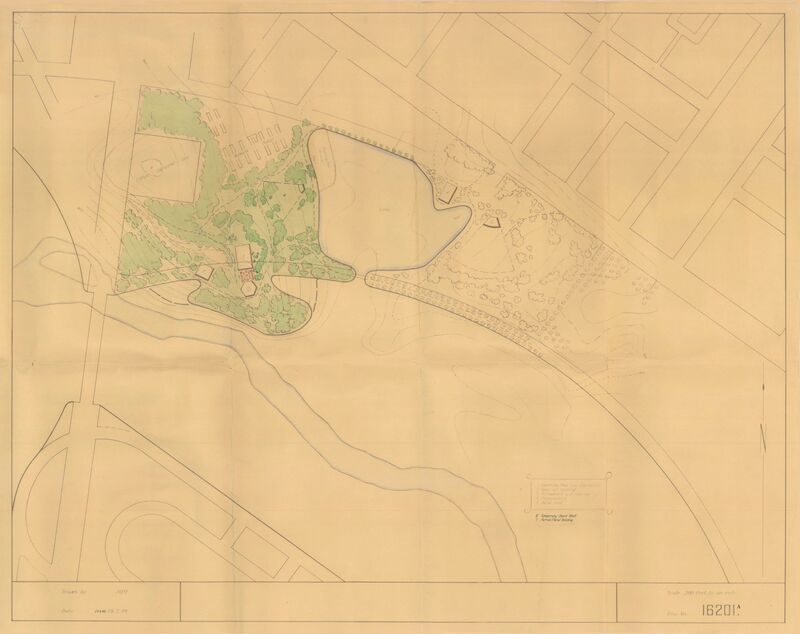 The file includes the plan proposals for a "central park", some of these bearing a close resemblance to the Commonwealth Park we know today. Lindsey Pryor, head of Parks and Gardens, thought the site had a number of advantages, not least that it was "on an established bus route running past Mulwala Hostel". 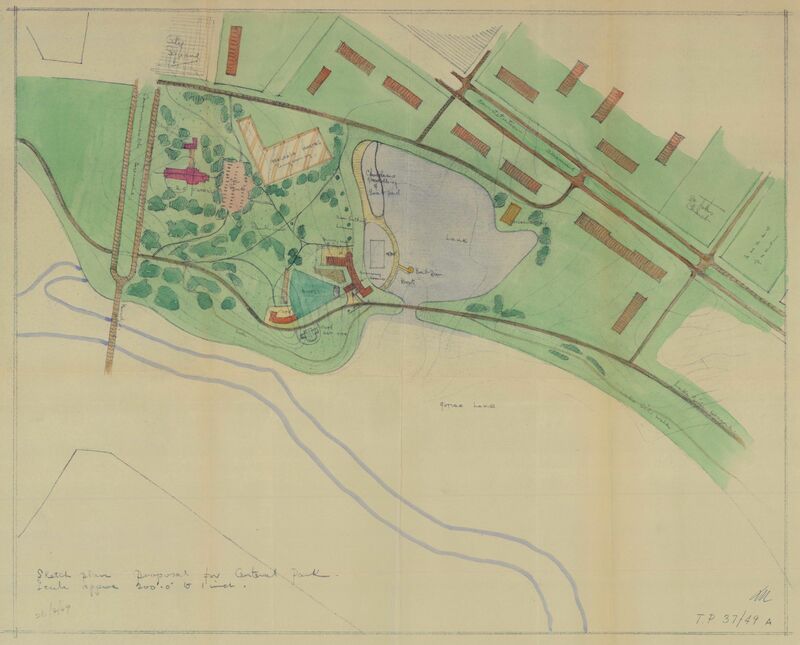 While the zoo never made it as far as his initial proposals, there were plans for a koala enclosure, paddling pool, and dancing, restaurant and swimming facilities. 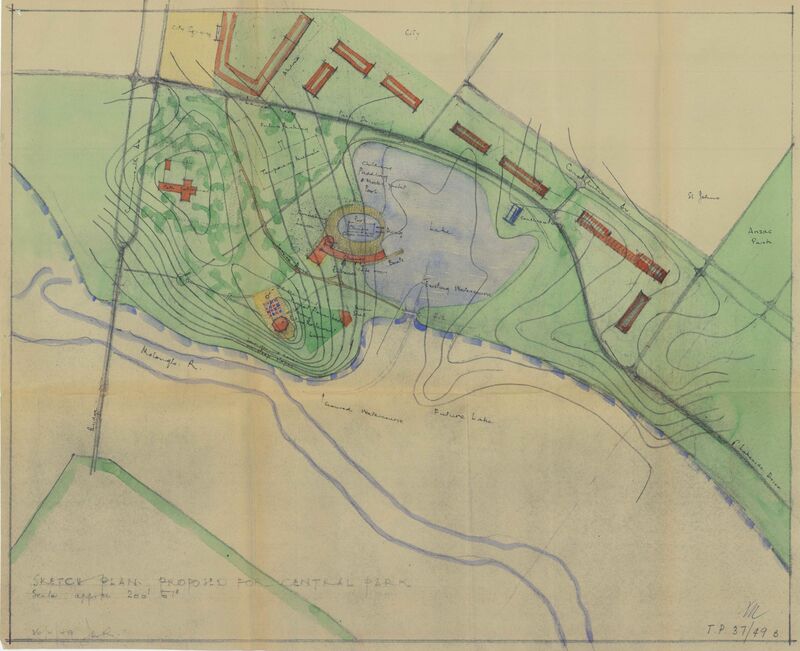 Following Griffin’s vision, Pryor thought the park should have "a diversity of attractions which would encourage the use of the park by many people of varying interests." Sadly, few of these features made it into the Commonwealth Park we know and love, but Canberrans still flock to Stage 88, the Rhododendron Gardens and the Park’s other sites on summer weekends. Many non-Canberrans will remember—fondly or otherwise—their school excursions to the capital and their visits to the National Capital Exhibition centre in the Park. Imagine how much more exciting it would have been with a zoo!